Who hasn’t seen a cute Dalmatian puppy and wished they had one of their own? The spotted pups, made famous by Disney’s 101 Dalmatians, are absolutely adorable. However, there are some things you should know about Dalmatian puppies before you run out to your local shelter or rescue to get your own. 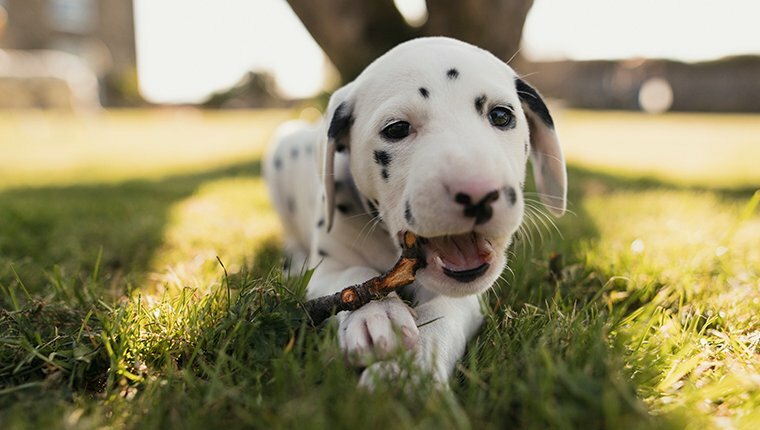 Check out the adorable Dalmatian puppy pictures above, then keep reading below to find out if you’re ready to adopt a Dalmatian puppy! Here are some facts to help you decide! For those of you who imagined a Dalmatian like Pongo who would sit obediently by your side as you work, watch TV, or read, think again. The Dalmatian was originally used as carriage dog. Starting in the 17th century, these spotted dogs would trot next to their owners’ carriages. They made sure the travels went safely–namely from possible bandits. Dalmatians also guarded the horses after owners stopped at an inn for the evening. The Dalmatian has been historically used for myriad other very active duties. 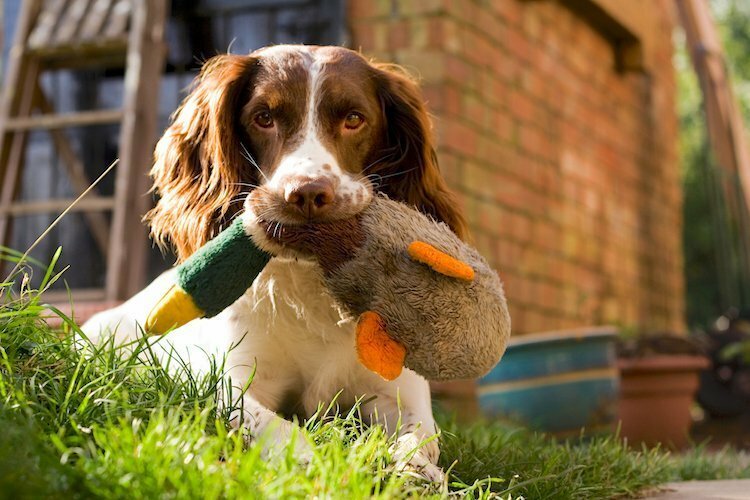 They’ve been used as war dogs, as herders of livestock for farmers, as both pointers and retrievers for hunters, and even as circus performers. 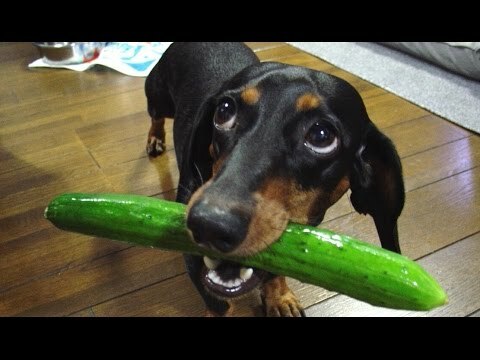 Given the Dalmatian’s prolific history as a busy dog, it is easy to understand why someone who wants a Dalmatian puppy should get ready for a whole lot of energy. If you live in a small apartment and want a Dalmatian puppy, be prepared. 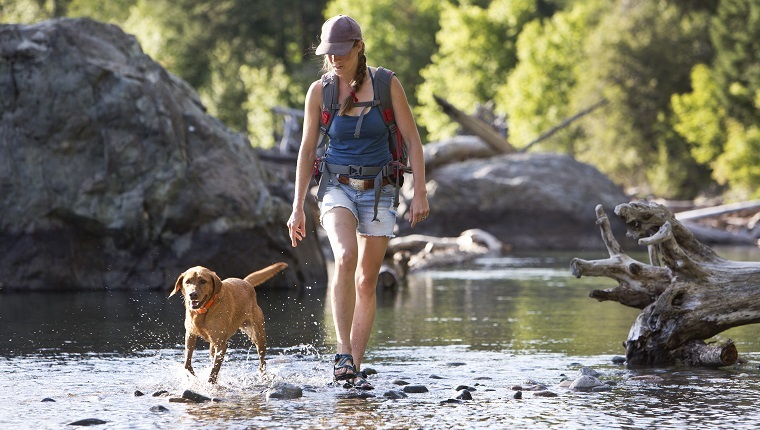 They’ll need several lengthy walks–and possibly a run–each day. 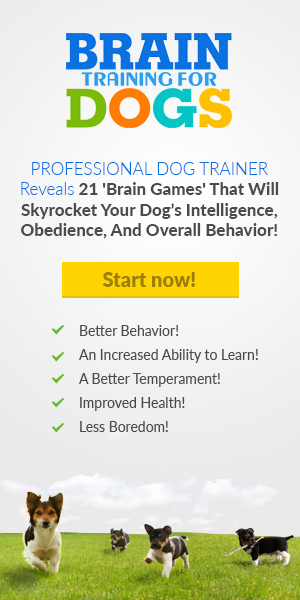 If dogs of this active breed aren’t exercised, they’ll quickly become bored and find ways to entertain themselves. 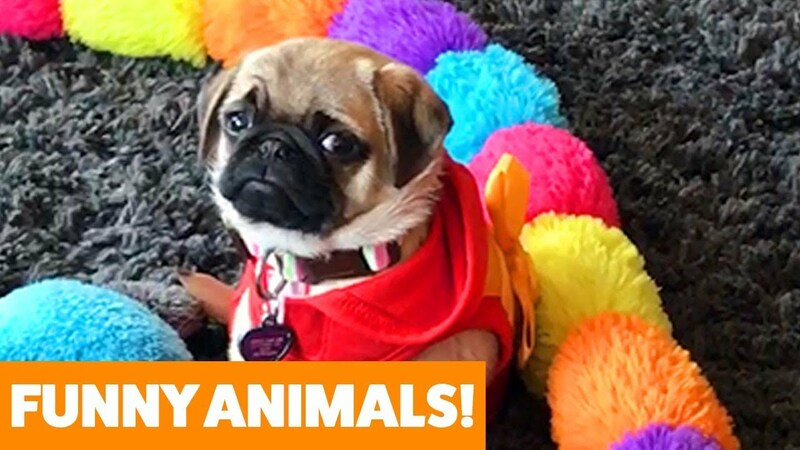 For instance, they might start tearing up your favorite shoes or digging in the trash. 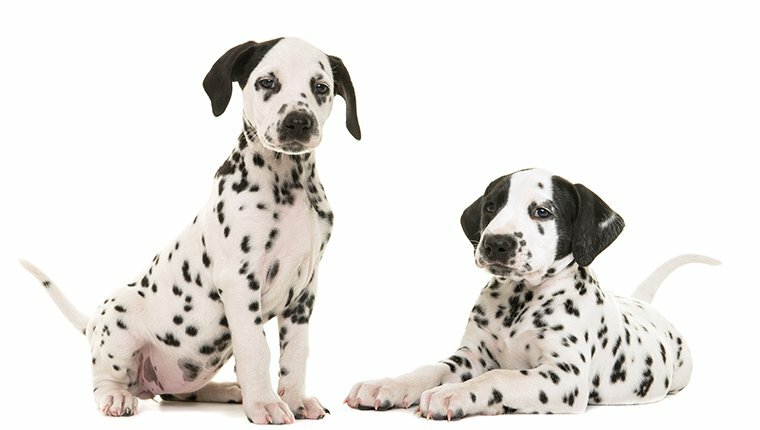 While many breeds’ histories are more guesswork than fact, the Dalmatian’s origin is one of the most mysterious. Their name comes from Dalmatia, a region that is now part of Croatia right near the Adriatic Sea. The name started to stick around the 17th century. However, artifacts and pieces of art depict the spotted dog thousands of years before they were first named. Some believe Dalmatians have been around since Ancient Egypt, as murals on Pharaohs’ tombs feature the iconic spotted dog. 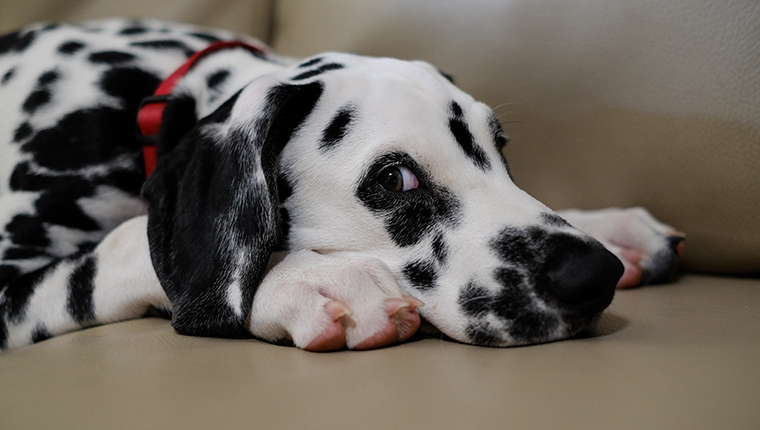 If you don’t see a lot of spots on your Dalmatian pup, don’t fret. 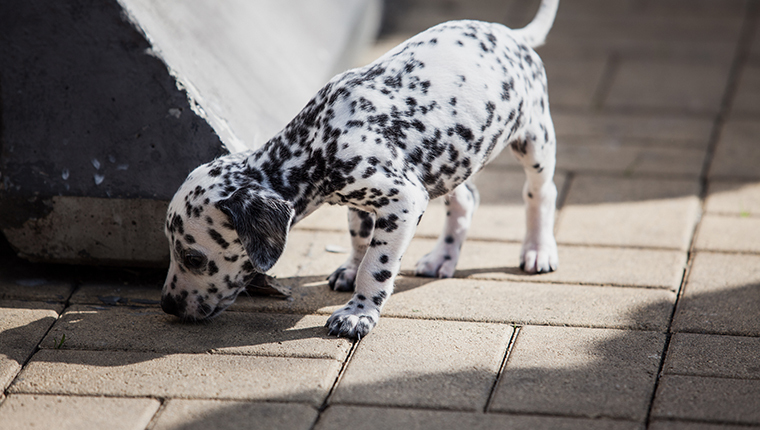 Dalmatian puppies are born snow white, and their spots start to appear as they age. If you look closely at a Dalmatian puppy’s skin, you can see where some of the spots will come in. The skin has darker pigment where spots pop up. 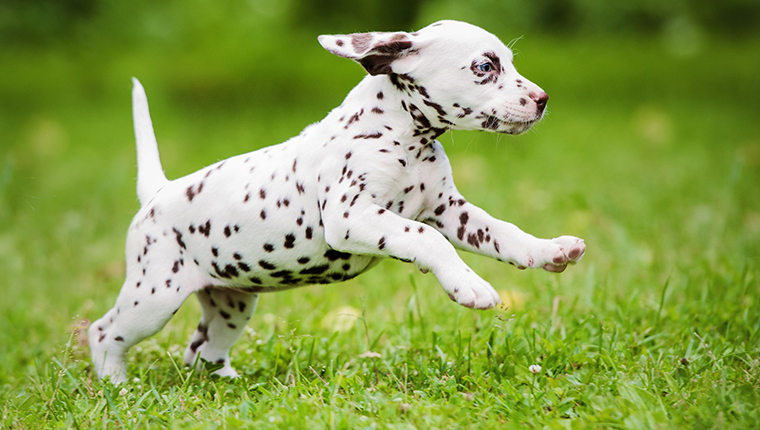 Dalmatian puppies’ spots really start to become more obvious around five to six months of age. New spots can continue to show up on Dalmatians until they’re about seven months old. When people imagine Dalmatians, many probably think of the stereotypical white-coat-with-black-spots variety. However, not all Dalmatians are strictly black and white. There are a variety of colors a Dalmatian’s spots can be. Some come in brown, lemon (a light, muted yellow), blue, or even orange. Sometimes, the spots can be a mix of these colors, depending on the pup’s parents. 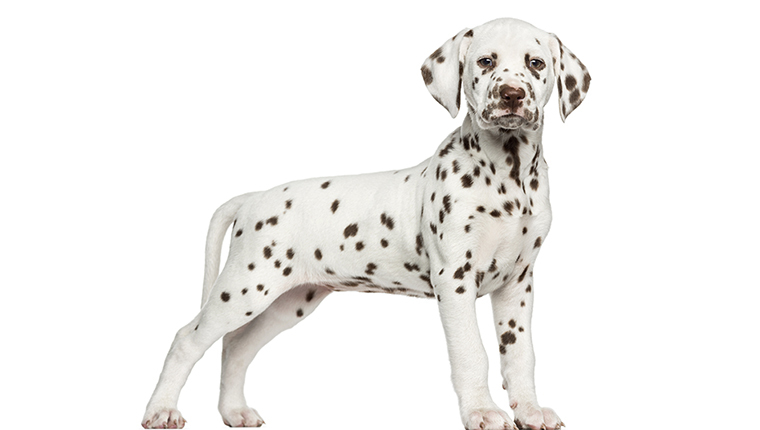 If you are looking for a Dalmatian puppy with a certain spotting color, it is probably best to ask a breed specific rescue. If you get a Dalmatian puppy and you think they’re ignoring you, they may not actually be able to hear you. Dalmatians are typically not prone to many genetic issues. However, the one they often suffer from is deafness. Roughly 30 percent of Dalmatians dogs have some sort of hearing impairment, whether they’re hard of hearing or completely deaf. Why is it that this active, working breed has a genetic predisposition to deafness? The answer lies with their trademark spots. 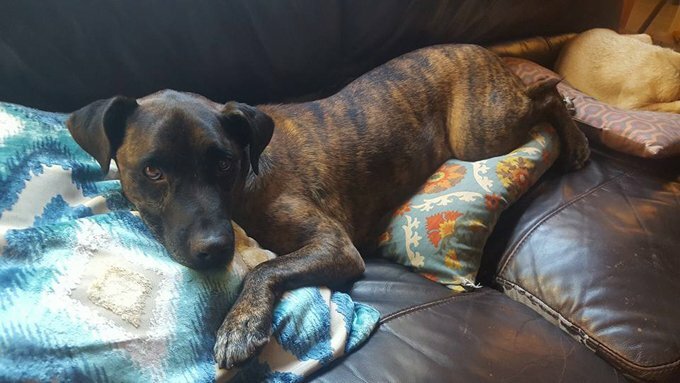 Spotted dogs, especially dogs with a predominantly white coat, sometimes don’t have enough mature melanocytes–cells that produce melanin, or darker skin and spot tones–in their inner ears. 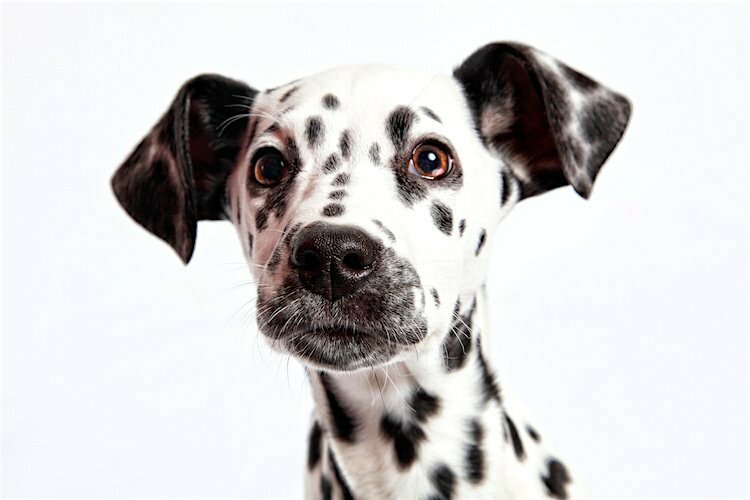 Typically, Dalmatians who appear more “patchy” than “spotty” are less likely to have hearing impairments. 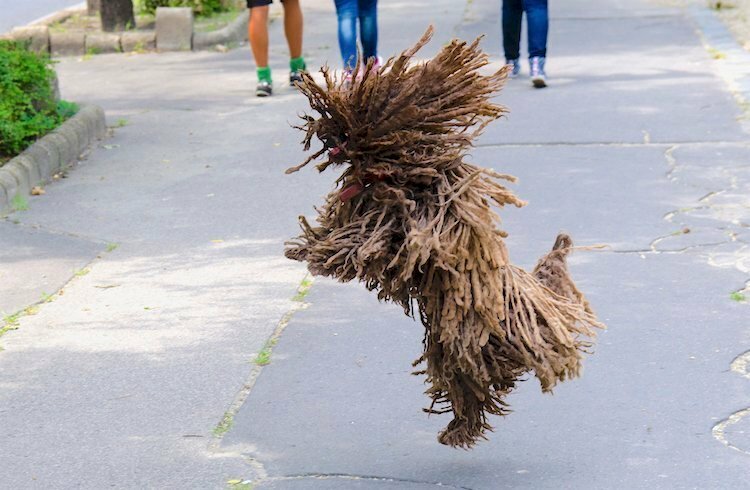 However, breed standards dictate that the coat should be spotted, not patched. Yes, the Glenn Close-starring film that made Dalmatian puppies so desirable in the first place actually did a disservice to the breed. After the 1996 film–and the release of the book in 1956 and the original 1961 animated film–families were eager to add Dalmatian puppies to their families. 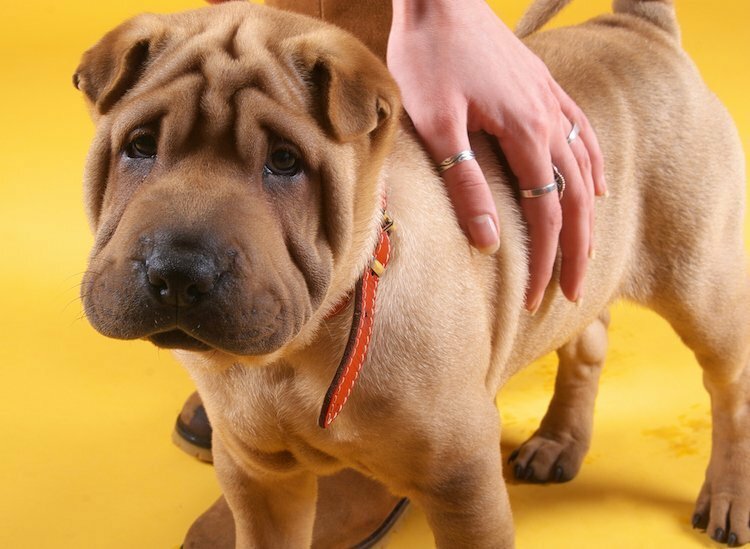 The higher demand created a market for unsafe breeding practices. In turn, that led to unstable bloodlines caused by inbreeding. It also led to a heavier workload for Dalmatian rescues. 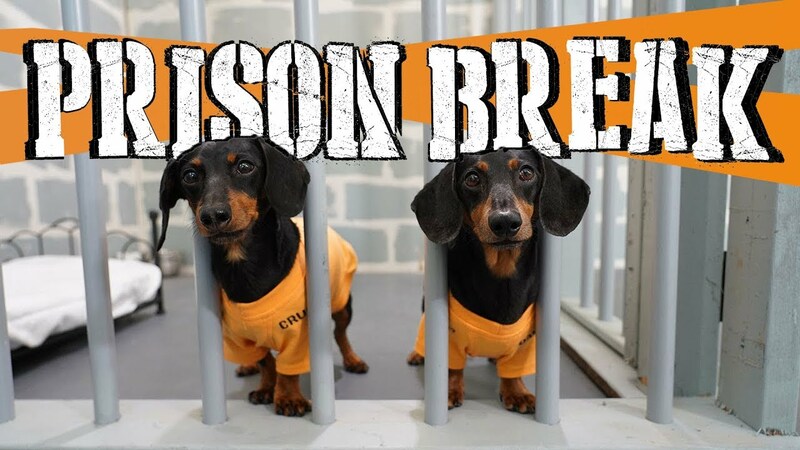 They ended up with the unwanted puppies after families realized they could not care for the active breed. That isn’t to say that all Dalmatians are doomed to suffer from some crippling genetic defect their entire lives. What it does mean, however, is that you should really do your homework when investigating potential Dalmatian illnesses and conditions. 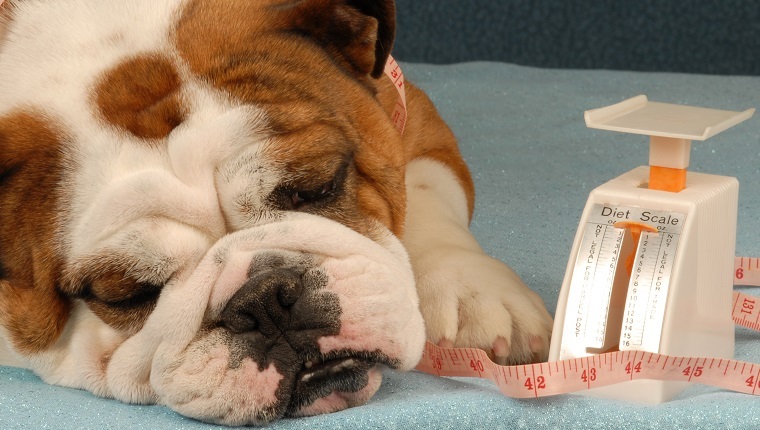 Talk to your veterinarian and watch for concerning symptoms. Catching certain issues early can help. 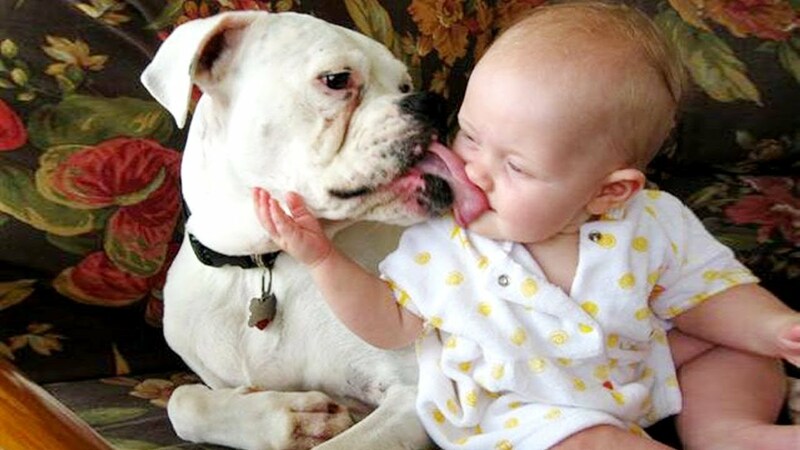 The good thing about Dalmatian puppies is that they’re incredibly loyal and love bonding with their humans. The downside to this is that a Dalmatian can quickly develop separation anxiety if they are left alone too quickly or somehow feel unsafe. 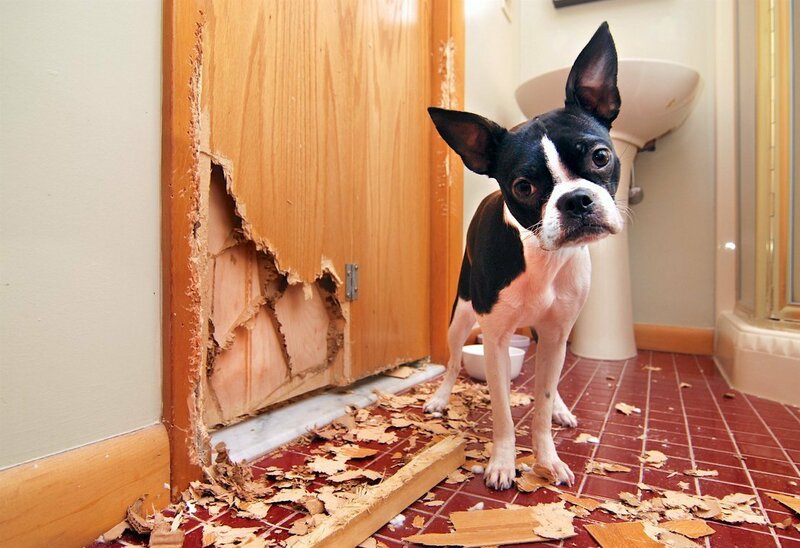 Fortunately, there are solutions to separation anxiety in dogs. Dalmatians are far from the only breed to experience this, so don’t let potential crying as you leave the house be your only deterrent from getting your very own Dalmatian puppy. Do you have a Dalmatian puppy? Did you run into any obstacles as you trained them? 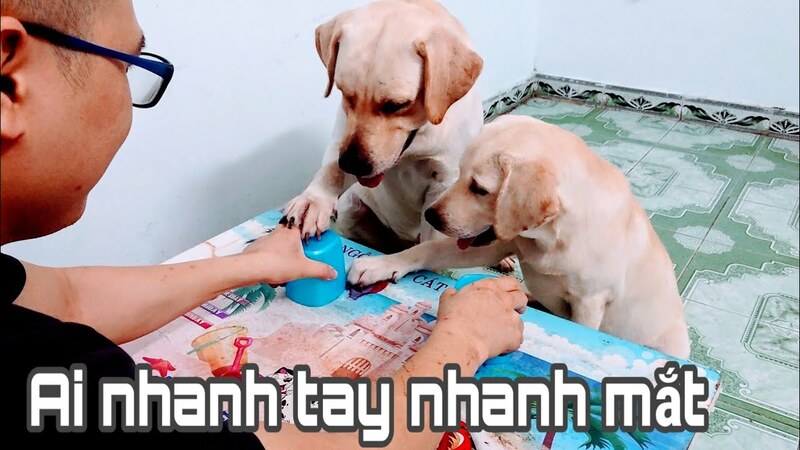 Let us know your experience with Dalmatian puppies in the comments below.